On Thursday evening we wrapped up our five-day study tour of archaeological and cultural sites in northern Israel. I’ve been assisting with the tour since 2014, and I think this has been one of our best years. This year, we added a few stops to our usual itinerary in order to take be able to speak with excavators in the field and other experts two could offer their insight into new archaeological research. 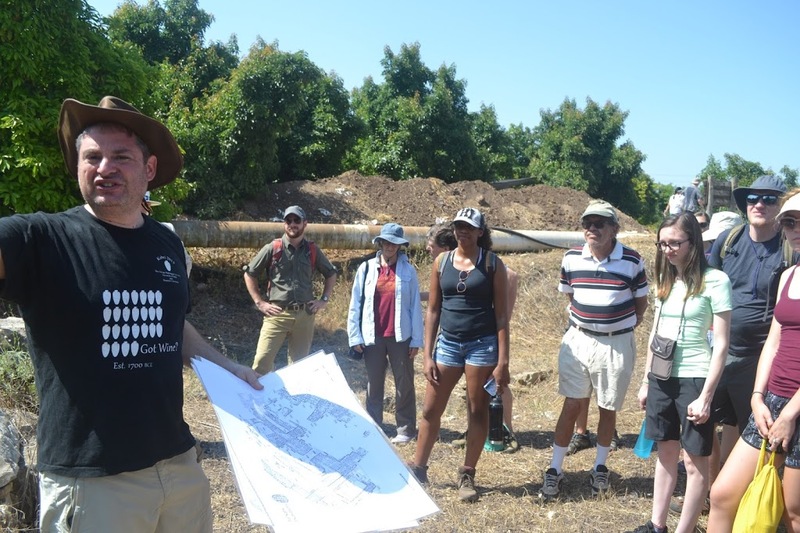 We were able to visit Tel Kabri during the opening week of their excavation, and Eric Cline and Assaf Yassur-Landau were generous enough to give us a tour of the site and discuss some their finds from previous seasons and their goals for 2017. 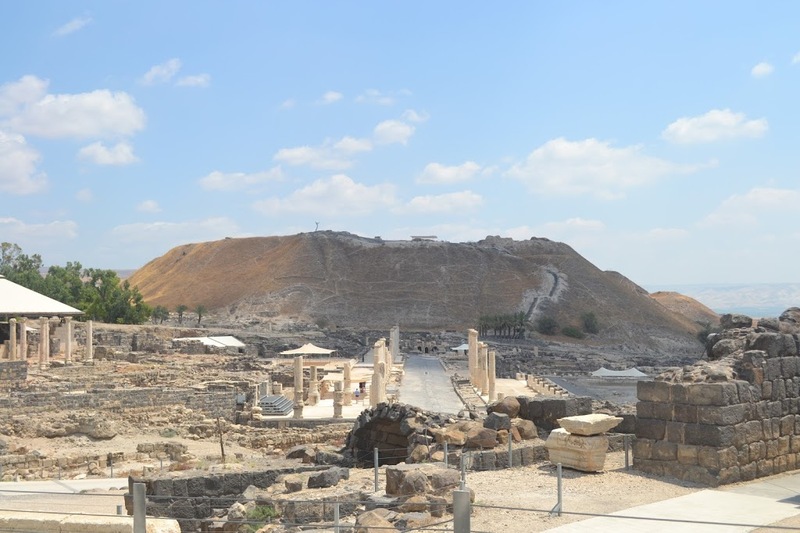 We visited Beit She’an, which is a perennial favorite. The site features a classic near eastern tel, along with Roman city below. 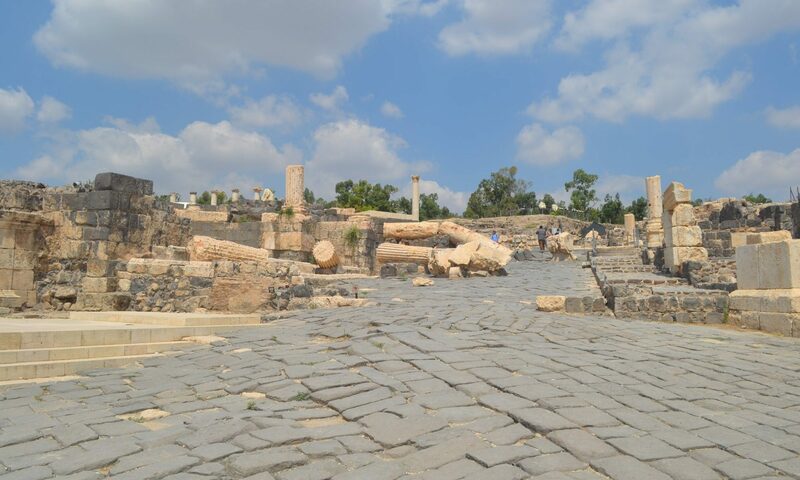 Most of the visible remains from the Roman site date to between the fourth and sixth centuries, when the city was know as Scythopolis and served as the capital of the Roman province of Palestina Secunda. 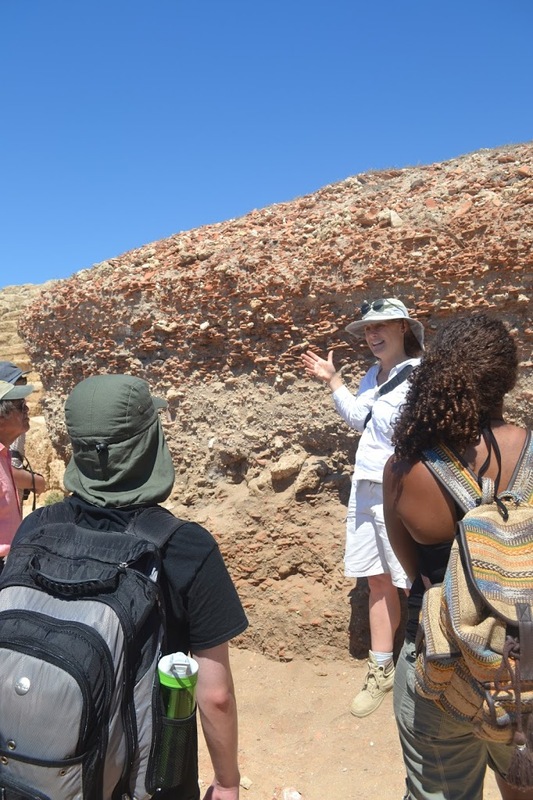 Scythopolis is of particular interest to me, as excavators found multiple pilgrimage souvenirs in one of the late antique shops, which suggests a secondary market for pilgrimage goods. In addition, the city appear in pilgrimage itineraries and there is evidence for a martyrium-style church on the top of the ancient tel, above the remains of a Roman temple. An OU student examines a fallen column on the streets of Roman Scythopolis, likely evidence for the final earthquake to destroy the city in the eighth century. Tel Beit She’an from the main Roman street. We added the Roman site of Omrit to this year’s program, and we were fortunate to have of the excavators give us a tour of the site during the final days of their season. 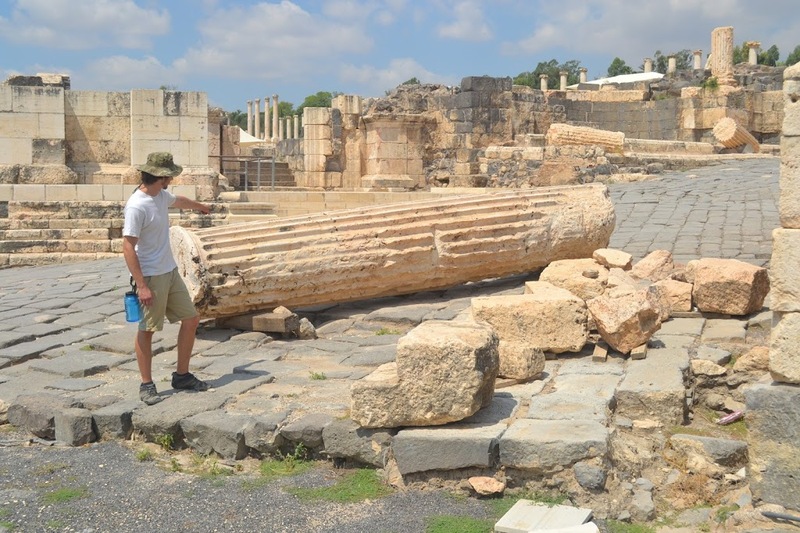 The site features a multi-phase Roman temple that dates to about the first century CE and was constructed on top of an earlier Hellenistic shrine. 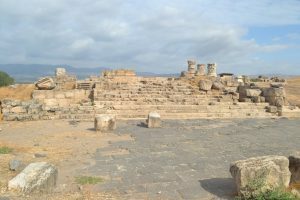 Interestingly, the Christian living at the site in the Byzantine period built over the temple’s altar with small church. 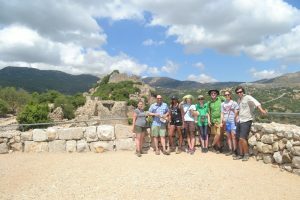 We again visited Nimrod’s Fortress, a medieval Islamic fortress, which offers fantastic views of the valley below. Many of the towers remain largely intact and visitors can climb through the ancient gates all the way to the keep. 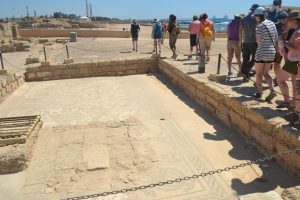 Our final stop of the tour was the Roman site of Caesarea. The remains are immediately impressive, and this year we had the added bonus of a tour by Beverly Goodman, who discussed her research on the destructive effects of tsunamis at Caesarea. 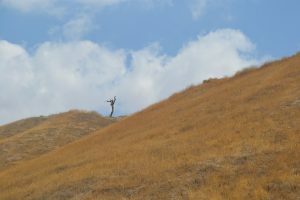 We begin excavation on Sunday. So, stay tuned for more in the weeks ahead!